I don’t normally write articles about people even if they are one of my favorite actors, or about the death of a famous person, or so-called celebrity. 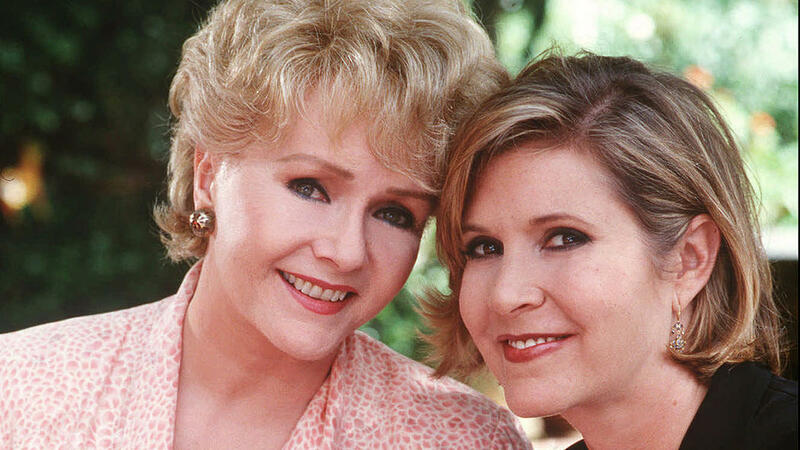 But what had happened with Carrie Fisher and a day after with her beloved mother, the incomparable and legendary Debbie Reynolds, is something which does not happen so often before our eyes, and something I could not just ignore without saying a single word. We all love to discuss the true relationship between a parent and a child and the special bond they develop. As it always happens in best-selling novels, death can never distance two souls that cannot imagine their lives without each other. And that is what exactly happened with Carrie Fisher and Debbie Reynolds when Debbie Reynolds could not live a day longer without someone who she believed she should continue to fulfil her duty as a mother, to follow her child even after her death, to take care of her in eternity for once and forever. Indeed, such stories happen on a daily basis with those whose names we don’t even know. But I don’t remember in my entire life if such tragedies would have occurred at such a large scale in the way it happened on December 28th of 2016. Yes, 2016 was full of devastating news. It has taken so many lives. It has been brutal towards those who had hopes from it. It has disappointed many who expected to have a better year before welcoming 2017. But it would be awfully romantic if it decides to conclude the year in a way many of us wouldn’t be able to imagine. While we have lost two legendary people, it looked like the year 2016 knew better than anyone else it would have been safer and logical for Carrie Fisher to be followed by her mother because these two souls were meant to stay together forever. It is just hard to process and accept the fact that both of them lost their lives within a day from each other. Therefore, this time, not yesterday or tomorrow, we all would like to believe that there is life after death, and the sacrifice Debbie Reynolds made to reunite with her daughter was worth it. And that, perhaps now, Carrie Fisher might wait for her mother to sing in the rain or just enjoy another chapter of their lives, we have no way to find out. To conclude, the year 2016 can be remembered as one of the worst years in terms of death of famous people, but it certainly was, in a way, poetic as well. At the end of the day it was not death but love and reunion that was celebrated. One thing I can promise is that Carrie Fisher and Debbie Reynolds – You will always be remembered by everyone who believes in strong bonds and love between parent and child, as you both displayed it in the most beautiful and magical way and I sincerely thank you for that! May you both Rest In Peace.